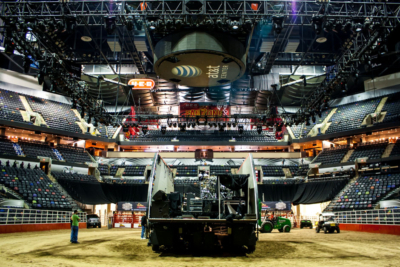 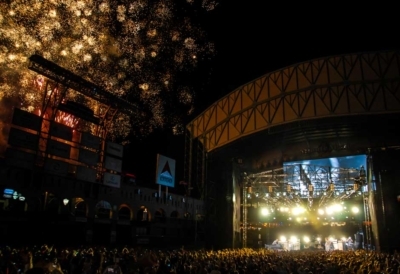 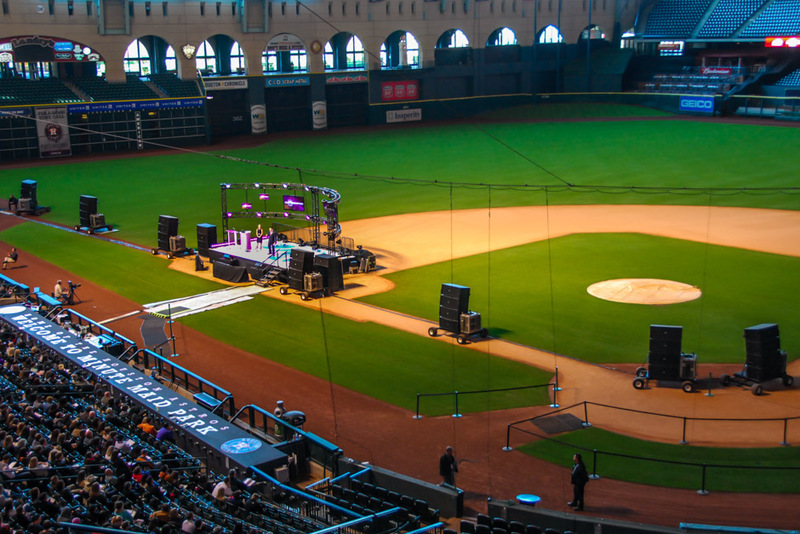 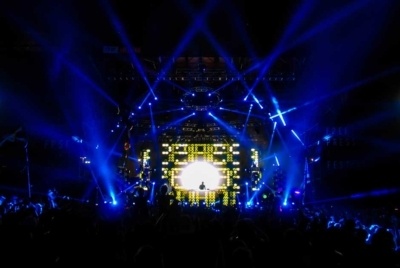 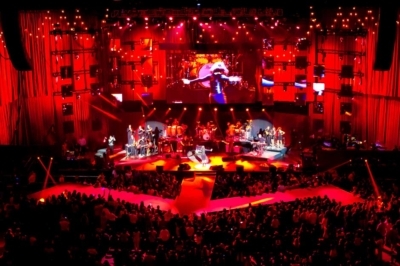 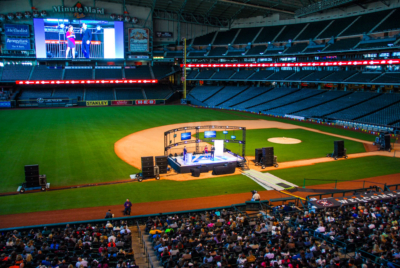 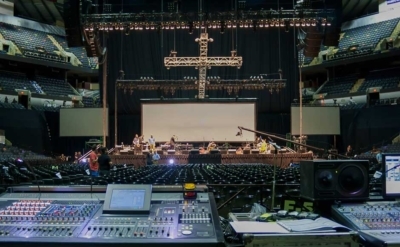 LD Systems returns to Houston’s Minute Maid Park providing technical production support for worldwide event producer Multi Image Group (MIG) during the Advocare National Sales Conference. 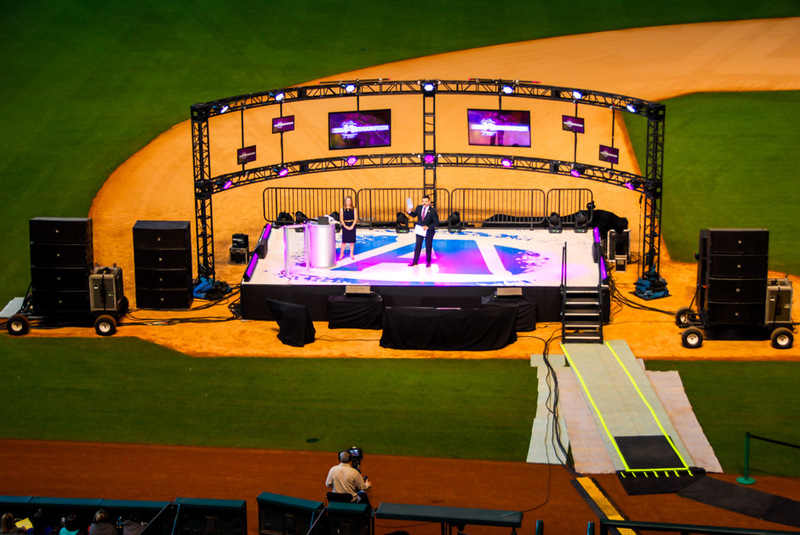 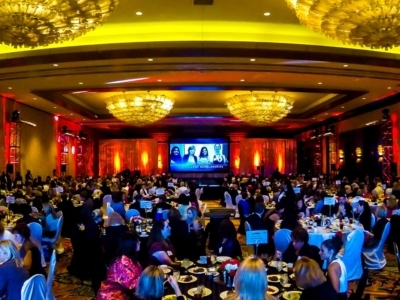 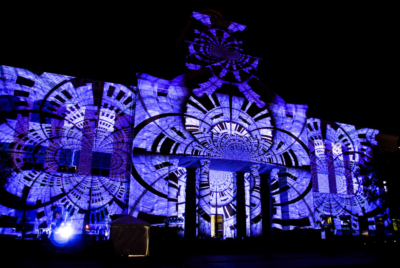 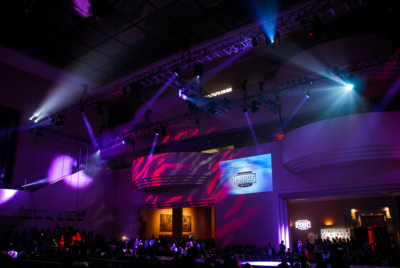 This energizing event required the LD Systems production services team to deploy live sound, light and video solutions complimenting Advocare’s dynamic branding and also providing a powerful platform for presenters. 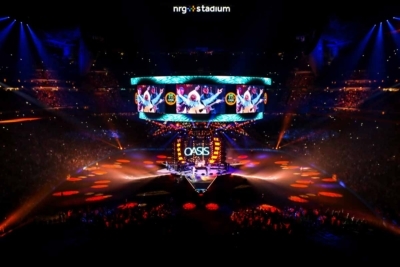 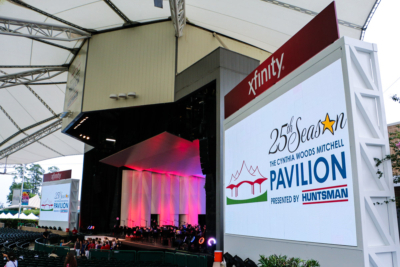 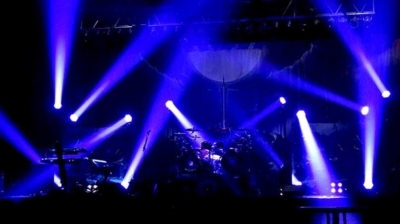 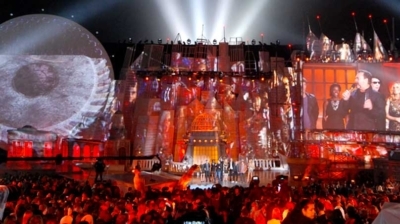 A custom designed curved truss structure held multiple LED and plasma display panels surrounded by symmetrical moving light fixtures. 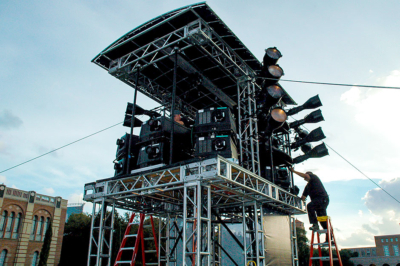 We are often called to manufacture unique solutions for sensitive environments requiring high operational standards. 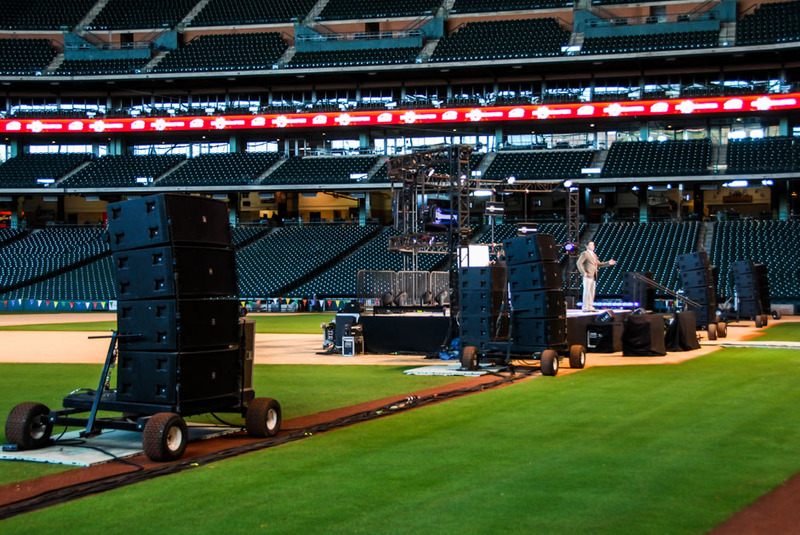 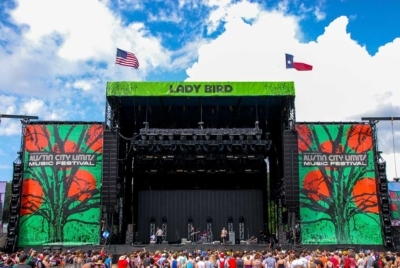 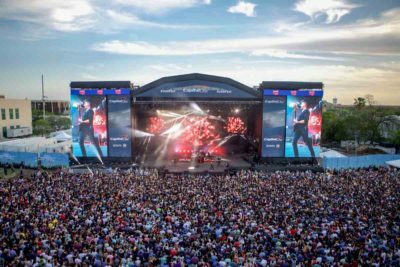 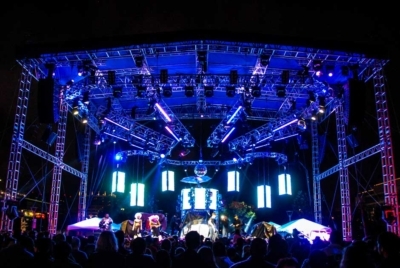 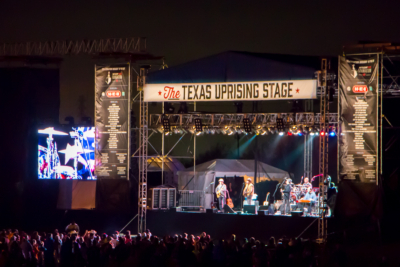 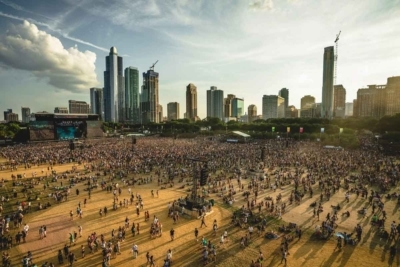 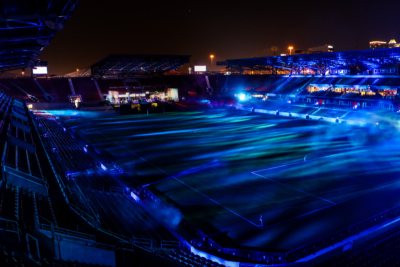 LD Systems fabricated live sound carts are used to deploy ground supported audio arrays ensuring there is a very minimal impact on the gorgeous stadium field turf and offer complete live sound coverage for up to 10,000 attendees.